Take Cat® Simulators on the road! Use them to train in the field, at satellite locations or demo the simulators for students. When outfitting a trailer to carry simulators, secure them in place with a Trailer Mount Kit. The kit is available for standard simulator set-ups or for simulators outfitted with a motion system. 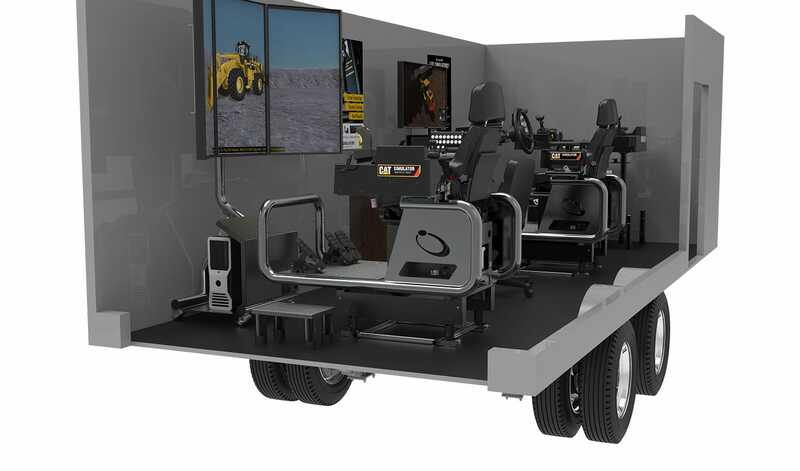 Watch a demo of the Cat Simulators convertible hardware and see how it fits inside a trailer.